At Almac Trailers, our products are locally designed and made in Queensland Australia. When you make a purchase with us, you know that you are choosing products that are suited to Australian conditions because they are designed and manufactured by the people who understand them the best. You will also be contributing to the Australian economy, as you will be supporting local Aussies in local businesses. If you are transporting your boat around, you want to know that it is supported by trailers that are sturdy and durable. Invest in trailers that you know will last, and that will get the job done. Almac Trailers are tough and ready for real work. You can rely on them to last and support you for years ahead. 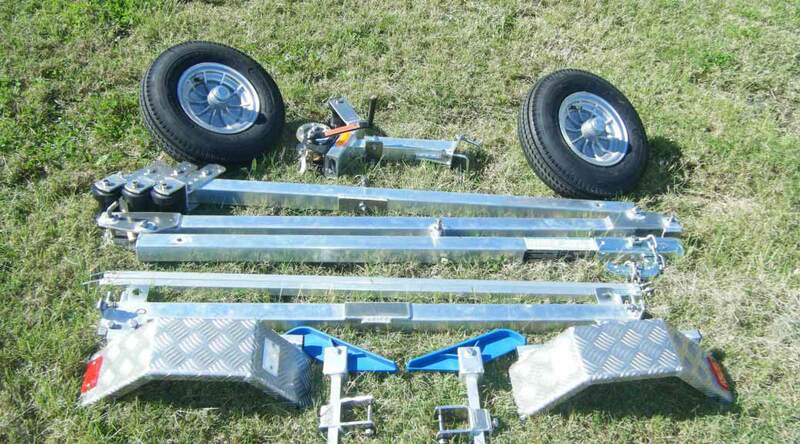 If you are looking for a trailer, you will want it to be easy to use and easy to move. Almac Trailers are light and compact so you can get your boat out on the water as soon as possible, without any fuss. Check out Almac Trailers for your boat and you will soon realise you have find a superior and well-designed product. Our team know our products well and can help you choose the right one for your needs. Got questions? We have answers. We are not just a sales team, but boating and trailer professionals who can get you on the right track to finding the exact gear you need. Contact us for a chat, and you’ll soon understand how friendly, experienced and knowledgeable we are. Do you need customisation or repairs? We can work on your caravan or trailer, and no job is too big or too small. If you need work done, we have the designers and trade professionals to turn your dream into a real-life practical solution. Partner with Almac Trailers for all of your customisation needs.